All women are conscious about their hands and nails but we often overlook that there are cuticles that await our care. 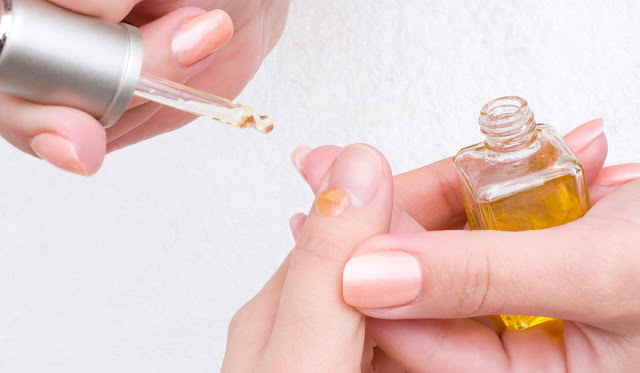 What are the benefits of using Cuticle Oil? A Cuticle refers to the delicate skin at the lower end of a fingernail or toe nails. It acts as a barrier against any foreign particles entering our body and protects us from infections. We often make the mistake of scraping it off by using a nail cutter or simply pushing them in the backward direction. But this is not an ideal solution, instead we should make use of Cuticle Oils to treat the dry and rough skin. In addition, Cuticle Oils act as essential moisturizers that assure good health to your nails. 1. If you want some relief from the after effects of a gel manicure, use a Cuticle Oil. Its most amazing benefit is that you can apply it over your nail paint directly. Your Nails will become much stronger and yet softer. If you rub it gently over the cuticles it helps in eliminating dead skin. 2. Cuticles Oils are an effective solution to treat excessively dry and flaky cuticles. It is rich in Vitamin E that allows damaged skin or torn skin to repair itself. Apply it gently over your nails using a thin brush and keep it overnight. 3. It is extremely painful dealing with weak and brittle cuticles. As this adversely affects the strength of your nails and makes them more vulnerable to cracks and breakouts. So a regular coat of cuticle oil is capable of providing strength to both the nail and the cuticle. It also recuperates and builds up on your vitamin deficiencies. 4. Cuticle Oils are rich in Vitamin E, Avocado, Sunflower, Seasame and Kukui nuts, all these are wonder ingredients for the skin. These help the cuticles to maintain a healthy moisture balance and also remove impurities. 5. Pollution and impurities in the environment make our cuticles tough and inflexible, as a result the skin begins to wither. There are cases where we see that cuticles begin to bleed due to excessive dryness and breakouts. This is a common problem witnessed especially during the winter season. So, Cuticle Oil is an easy cure in this regard as it acts as an exfoliator. It gently removes the upper layer of the damaged or dead skin, without causing any pain or discomfort. 6. An essential ingredient in Cuticle Oil of any brand is almonds. It brings to your nails a healthy shine and glow and also provides moisture even to the most calloused hands. 7. 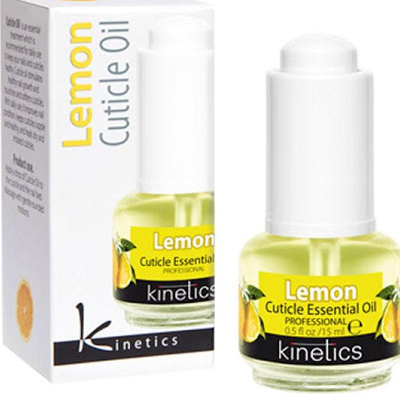 Now a days Cuticles Oils are available in a pen shaped bottle. These make our task even easier, as now all we need to do is to just underline our cuticles one by one. It has special absorbent properties that allows the cuticle to seep in the oil within a minute.